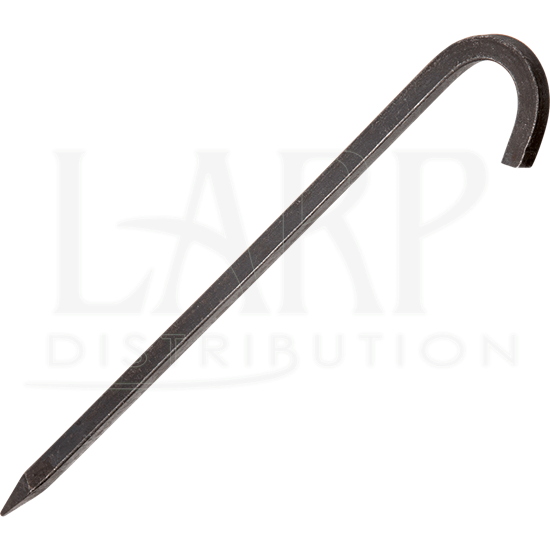 For historical reenactment, Renaissance settings, or other themed camping events, you can secure your tent in a way that suits your scene using the 12 Inch Iron Tent Stake. This hand forged tent peg has a tapered point and a hook top, so it both pierces the ground more easily and can be removed without unnecessary stress. 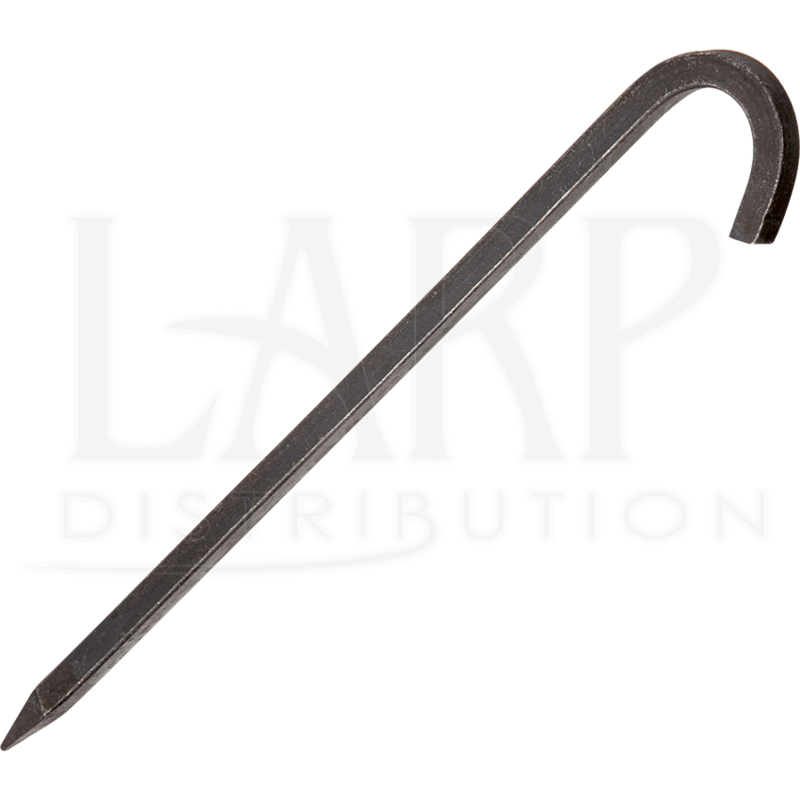 Rugged in its look and durable by design, this iron camping tent stake works well for medieval, Renaissance, and even up to Civil War era settings.